Day 6 in Africa : Part 1. 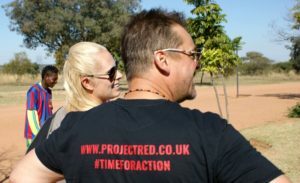 Project Red believe that working with the local communities is an integral part of conservation. It is often a complex matter but its important the indigenous people and local communities value the wildlife as wildlife and understand what it is we are trying to do! So wherever we go, we always try and do what we can in some of the local villages. On our way between projects today we visitedÂ Bethesda Outreach, which is an orphanage and school for local children.